vCenter Server Virtual Appliance (vCSA) is the future. 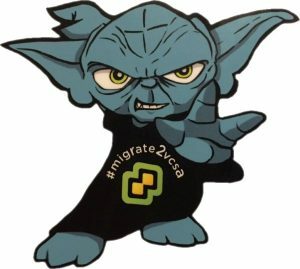 If you are still running the Windows-based vCenter, it's time to migrate to the appliance with vSphere 6.5. You've just installed vSphere 6 vCenter Server Appliance (VCSA) and want to use the "Use Windows session authentication/credentials" checkbox like you know it from the vCenter Server running on a Windows Server? You've already added an Active Directory as Identity source, and you can login with AD users, but the "Use Windows session authentication/credentials" still does not work?